The debut novel from award-winning filmmaker Rohith S. Katbamna, tells the powerful story of a brave few who venture for truth in the aftermath of a global uprising. In the year 2027, society has fallen. Mass revolts and warring nations have claimed countless lives and destroyed vast lands. Forced into a dark slumber, the world now draws fewer breaths and hosts infinite graveyards. In England, ten survivors who have journeyed many miles are on a path ready to converge. With histories soaked in the blood of betrayal, lies and deceit, one common thread binds them. The human instinct to seek a greater truth. Over six days, these ten souls will come to find that the ruined world around them is reawakening. As a presence emerges, bringing with it a merciless intention to eliminate any and all beating bodies, this company of strangers will confront a series of hardships in a tale of underdogs, oppressors and the human condition. 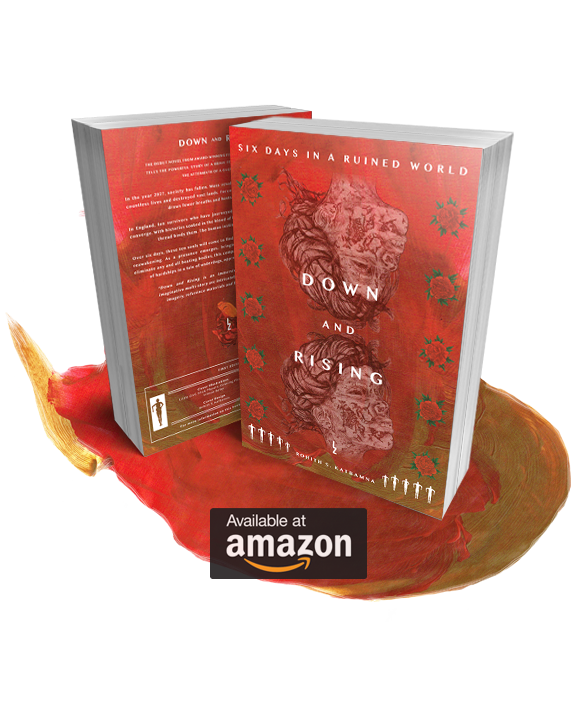 Down and Rising is an immersive reading experience. An imaginative multi-story arc intricately woven together by striking imagery, reference materials and finely crafted characters. 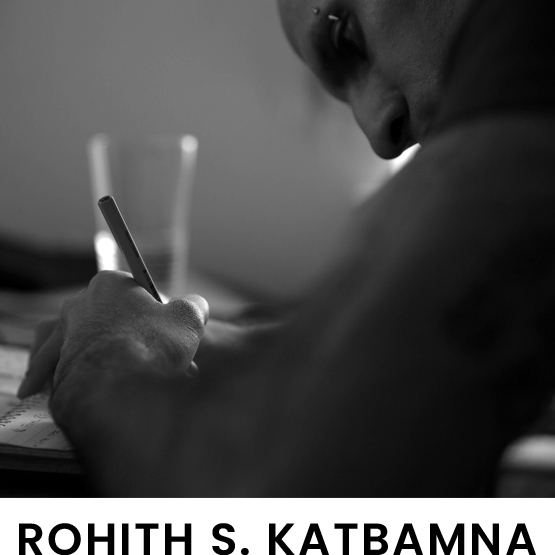 Born in Hammersmith, England, Rohith S. Katbamna began his writing career in the film and television industry. Following on from his work with the BBC, Channel 4 and IFC, including his acclaimed documentary, Hooking in JoBurg, Rohith’s feature debut came at the age of 28 when he wrote, produced, shot and directed the British television miniseries, PREMature. A culmination of a decade of work on the professional circuit. With the success of the series, he dedicated the next three years towards honing his writing craft through his debut hybrid novel. On Down and Rising: "It's a response to social and political tensions, with an emphasis on humanistic themes and psychological drama." How far is one willing to go? Born in Asmara, Eritrea, Filmon Belay drew artistic inspiration and encouragement from his homeland. 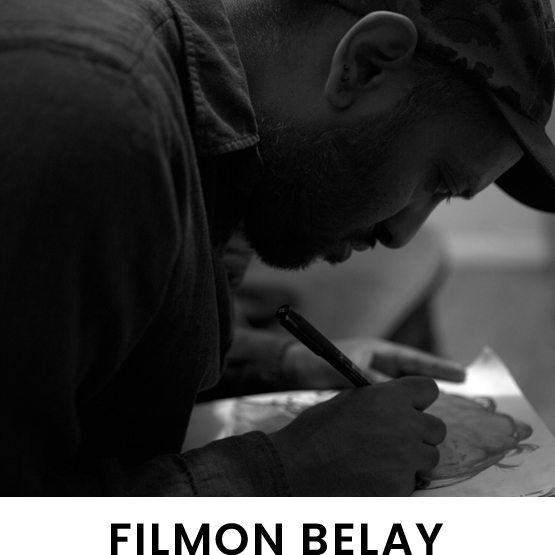 As an artist, Filmon’s work has been exhibited across London. He attributes his ‘scratchy’ technique to his own anxiety. For the majority of his pieces, he prefers not to make them permanent. He believes in producing ‘open-ended’ art, so that even after exhibition, he can continue to work on them through a constant mode of perfecting. On Down and Rising: "It captures me. Evokes in me, a feeling of reassurance while challenging my views, beliefs and confidence. It's an experience." Never have I felt so invested and a part of a story and its characters. To me, they were real people whom I shared a personal journey with. An inspiring literary work. To see a character from a South-Asian background at the helm of such a universal story, makes me proud. Never read a hybrid novel before. This was my first. A mind-blowing experience. The voice of the writer is unique. Classical and modern. A powerful insight into the human condition. One of the most brutally honest and beautifully violent writings I've read on society. Challenges my views on life. 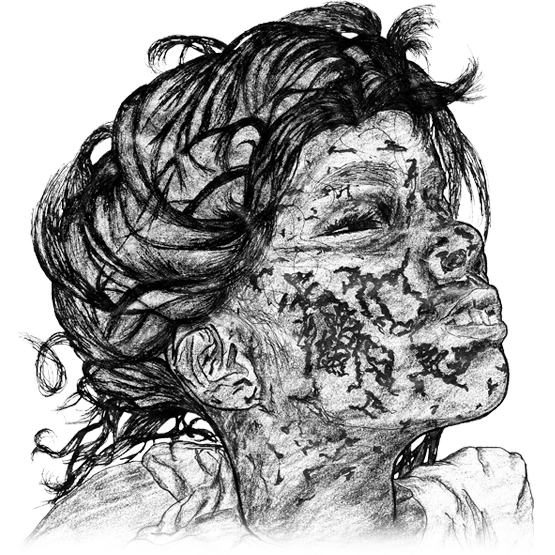 Provides new dialogues and discourses on issues so urgent in our world. I feel motivated. Thank you. Fine storytelling with an atmosphere that exudes from the pages. A different kind of post-apocalyptic tale. One so timely, yet timeless. With English being my second-language, I hesitated a little to read such a long book. But I can say now that I don’t regret it. It is spectacular. There have only been a handful of books in my life which I have deemed as true page-turners. This is undoubtedly one of those books. This is progression - and that's what Down and Rising was for me. The goal of progressing as a human society. You can still lift yourself and others up. Resonates and empowers while keeping me on the edge. A true page-turner. 600+ pages in the space of a month. A personal best. Love it. Imaginative. Striking. Visceral. Un-filtered. A psychological odyssey of epic proportions. A creative feat that leaves you humbled and fulfilled. Patience. This book is about patience. Taking the time to understand each other. Our world isn't moving fast. Our perception is. Very enlightening read. A novel written with fearlessness. Dark and bold. Takes a genre to a new place in structure, story and character depth. A demanding and rewarding read.